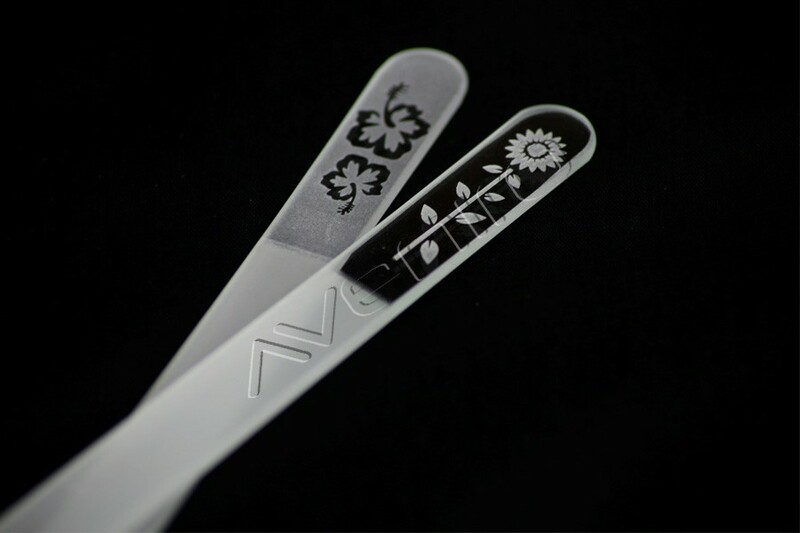 Sandblasting technique enables to create permanent designs of unlimited lifespan. 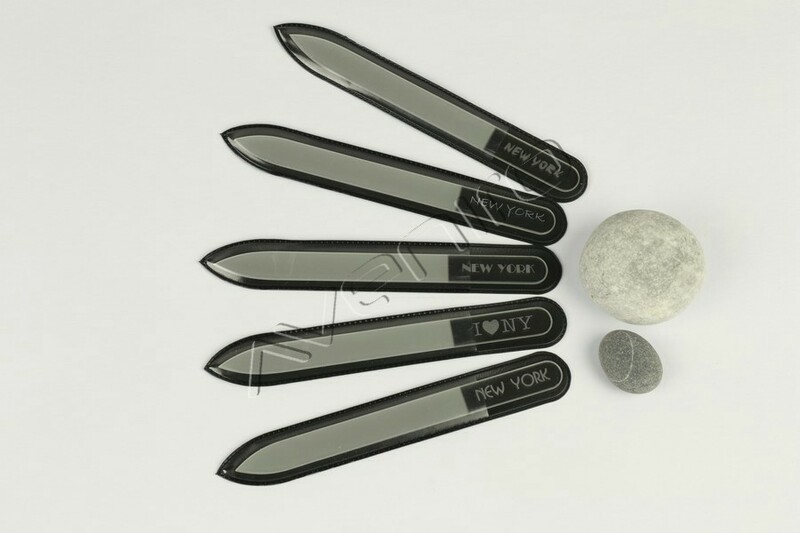 Small-grained sand is sprayed under pressure through a template onto the glass nail file. 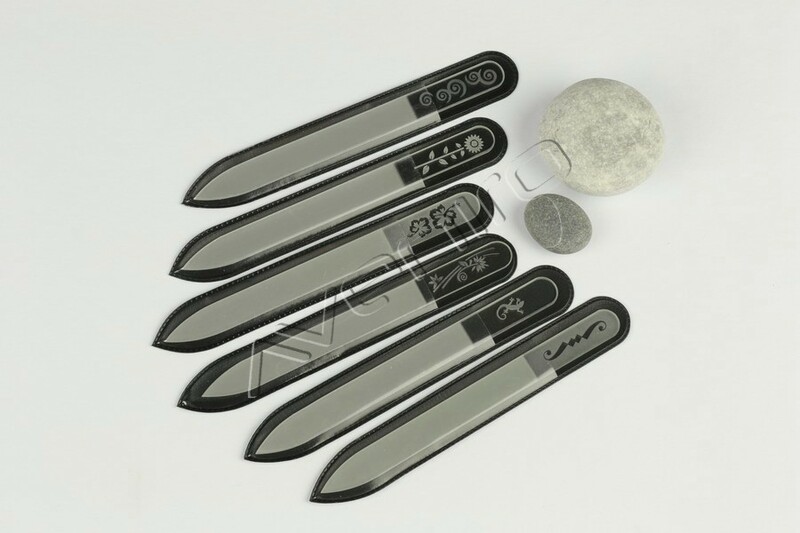 Due to this process the top layers of glass fall off and a plastic permanent design in shape of the template is created. 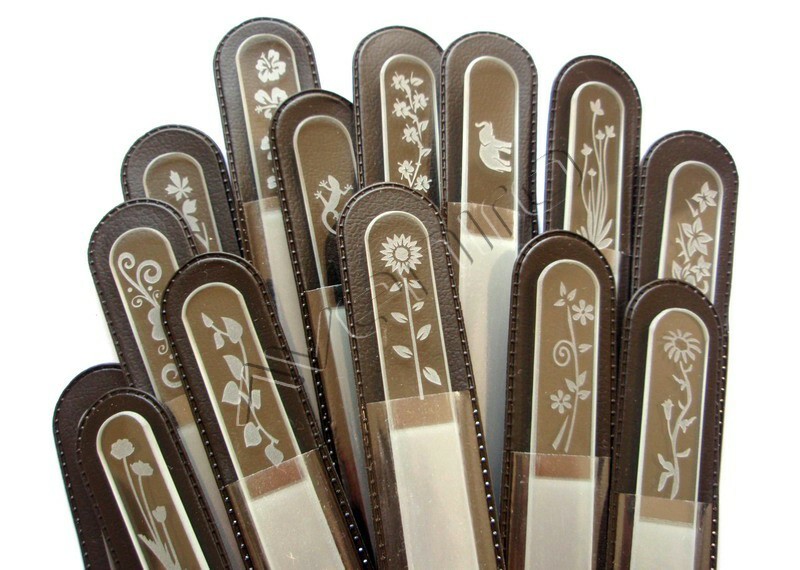 We offer a lot of attractive and elaborated designs – glass nail files with flowers, butterflies, animals or abstract and geometric motifs. Moreover, we are able to produce designs according to the customer’s wish.